Technology is fundamentally reshaping the driving experience. We embrace that evolution, at every turn. With new features and innovation our mission is to move you like never before. The latest advancements are changing what it means to be a driver, and what it means to be a passenger. As innovation radically reworks the driving experience – at an ever increasing pace – we’re exploring the possibilities of these advances. Our concept cars embody this visionary future. Our concept cars draw upon and in turn fuel ideas for future technology. The LF-FC, UX Concept, and Kinetic Seat Concept are forward projections, but they’re also pioneering laboratories where we’ve put daring new ideas to the test, giving imaginative thinking the freedom to make technological leaps. The revolutionary Lexus Kinetic Seat Concept was unveiled at the 2016 Paris Motor Show. Approaching seating with fresh eyes, we developed an innovative web construction to bring you enhanced comfort. The radical fibres stabilise your movements, for reassuring safety and support. So when you take your seat, you can relax your mind as well as your body. 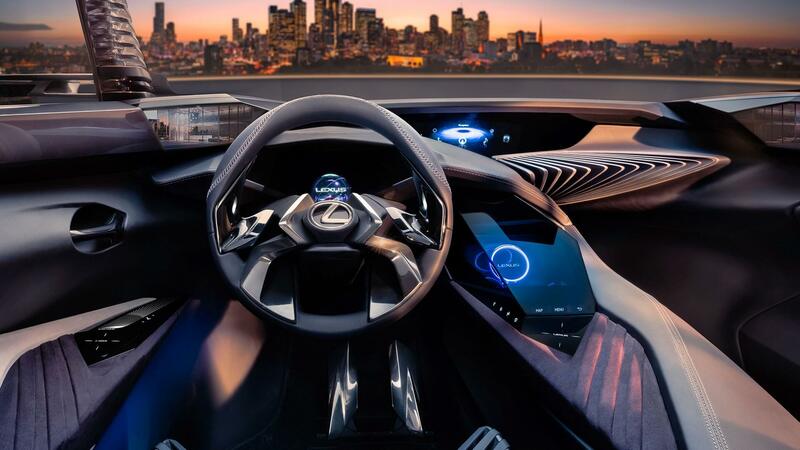 Both the UX Concept and LF-FC imagine more effortless, natural and more human ways of interacting with your vehicle. Soon, these vehicles will be able to interpret and respond to your gestures and touches. Holograms are also on the horizon. The new LS is taking safety technology boldly forwards. It builds upon Lexus Safety System + to add advanced new features, providing a higher dimension of driver support than ever before. Pre-Collision System (PCS), Lane Departure Alert (LDA) and Dynamic Cruise Control have all been further improved. The LS helps prevent collisions in innovative new ways, with features like Pedestrian Alert and Active Steering Assist to enhance and complement your driving senses, intuitively and intelligently.